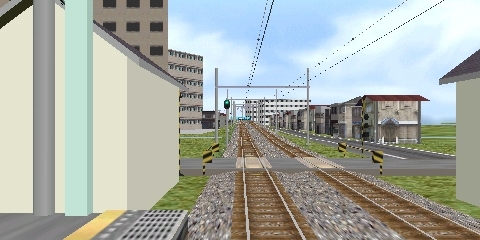 A part of the Iida line (JR Central) with a local class 119 train from Nanakubo to Okaya. 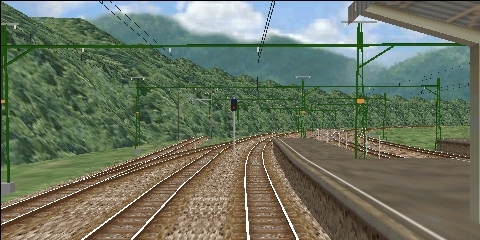 An electrified line in a very beautiful landscape with mountains, rivers and canals. Many nice details in the landscape. 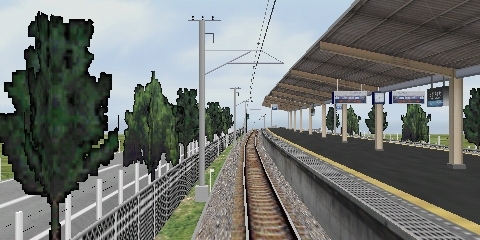 There are 2 alternatives for this route: Express using the class 115-2000 EMU and local using the class 119 EMU. At position 55700 m to position 55725 m there is a misaligned rail. Overview map (Acrobat document) with the Iida line marked on the map. 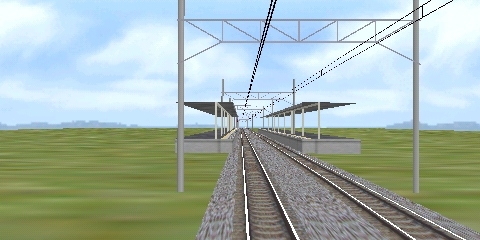 The simulated part of the line starts at the map south of Komagane and goes northwards to Okaya. 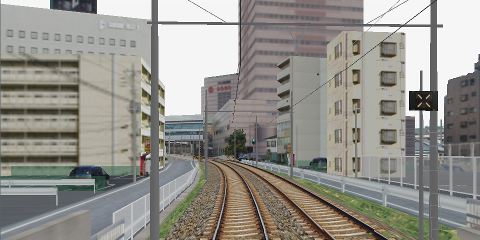 Part of the Seibu Ikebukuro line from Ikebukuro to Tokorozawa. 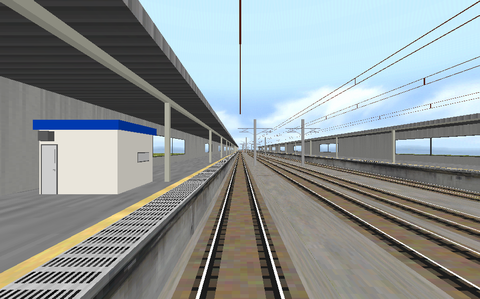 The railway is operated by the private railway operator Seibu Railway. 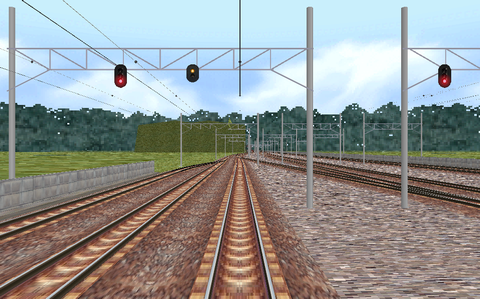 The railway's gauge is 1067 mm, and the line is electrified with overhead wires 1 500 V DC. Rather detailed route. 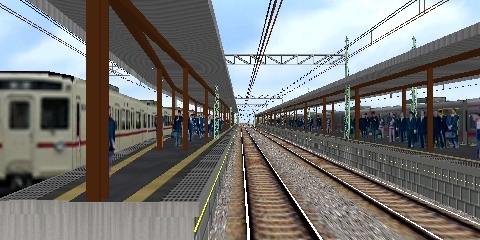 The Seibu Ikebukuro line at Wikipedia. 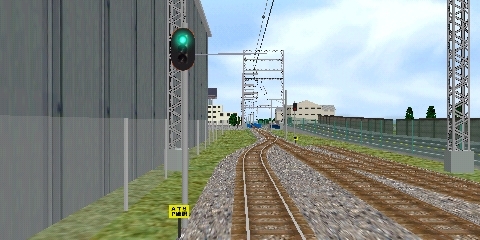 Part of the Tokoname line (Nagoya Railroad Co.,Ltd., a.k.a. 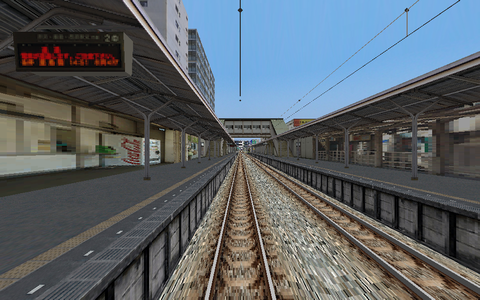 Meitetsu), from Otagawa to Jingumae. 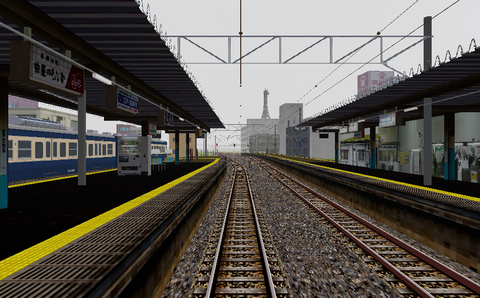 A Limited Express alternative for the class 8500 train, an express alternative for the class 6000 train and a local alternative for the class 7500 train. 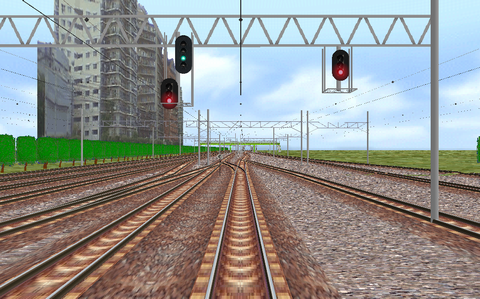 The gauge is 1067 mm and the line is electrified (1500 V DC). 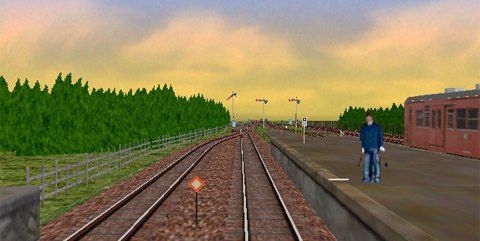 Many trackside details, but no landscape details. 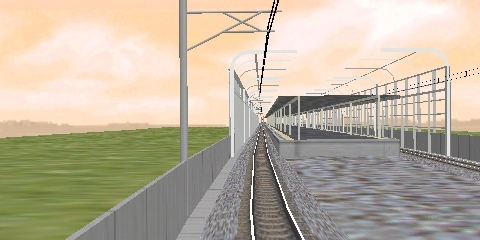 Line map over the Nagoya Railway's net (Acrobat document). 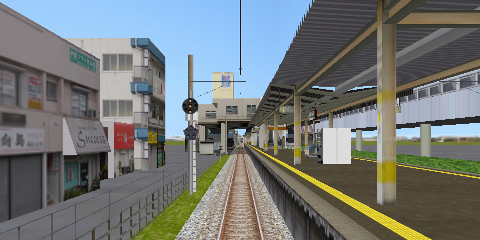 All route alternatives in the simulation begins at Otagawa (between the left and the right waters at the lower part of the map, the name is also marked with western characters) and goes upwards on the map to Jingumae (that name also marked with western characters at the map). 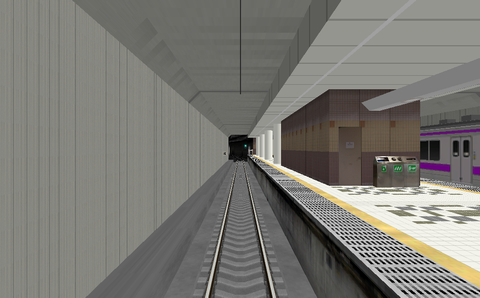 The Limited Express alternative is marked withbrown or pink line at the map, the Express alternative with a light blue line and the local alternative with a gray line. 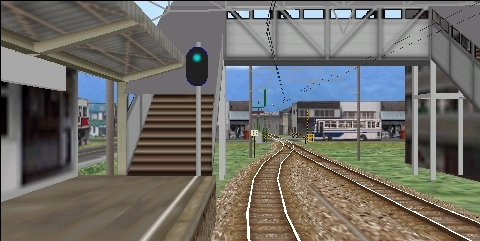 Stations at the Tokoname line. 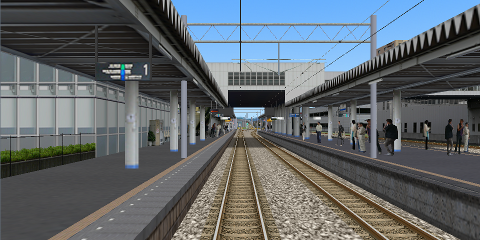 Click at Map by a station name to view a map over the station and its closest surroundings. 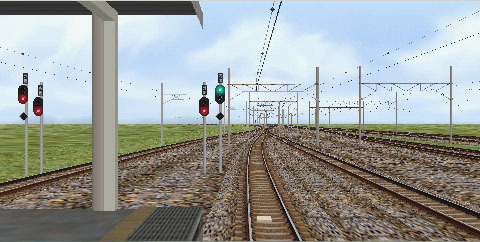 The Meitetsu-Railway's web site (text in Japanese). The route and the trains are since >10 years gone from the Internet.